Monsignor Newton has called on the Ordinariate to keep this national Novena of prayer. The first day of the Novena is on Friday 15th September (Our Lady of Sorrows/The Seven Delours of the Blessed Virgin Mary). This Novena in honour of Our Lady of Walsingham is the beginning of a National Novena of Prayer for our country which will help us prepare spiritually for the re-dedication of England as the Dowry of Mary in 2020 on the Solemnity of the Annunciation. It may be prayed at any time, but especially in preparation for and celebration of the Feast of Our Lady Of Walsingham on the 24th September, before a pilgrimage to Walsingham, and to prepare for the Feast of the Annunciation. Our Lady of Walsingham – pray for us! WHAT A BLESSING IT IS TO PREPARE FOR OUR LADY’S FEAST BY PRAYING A NOVENA The Novena presented for the Feast of Our Lady of Walsingham involves some set Novena prayers with a different intention each day for the needs of our Country and Church. The Novena starts on September 15th and finishes on September 23rd . 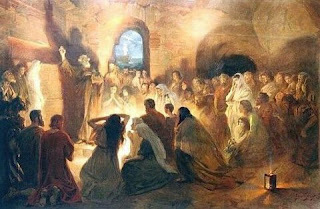 The Novena may also be said at any time of the year for special intentions. Walsingham for centuries has been the cradle of Marian Devotion in England. Praying to the Mother of God is an integral part of the Catholic Faith. It is one of the first ways we learn to pray as children. We turn to Mary, the Mother of Jesus for we are all her sons and daughters. Jesus’s last action on earth, in his dying breath, was to entrust/consecrate all people, of all time, into his Mother’s Maternal care. We pray to Mary to ask for her Maternal Intercession and her loving, motherly and protective gaze upon us. It is as natural as breathing that we turn to our Heavenly Mother in times of need, crisis, tears and temptation. Jesus always hears his Mother’s pleas on our behalf. In this Novena we turn to Our Lady of Walsingham, as untier of knots for all our personal, communal and national problems and needs. In England, Our Lady of Walsingham is our National Patroness and Queen to whom, down the centuries, our peoples have turned in times of war, trial and tribulation. Many are the sufferings, entanglements and knots which we face as individuals and families, in our parishes, schools, communities, in our Church and as a Nation and World. So many are the problems and knots which need to be untied. 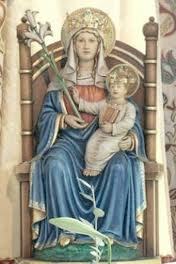 It is to Our Lady of Walsingham and through the praying of her Novena that we ask for her powerful intercession. Our Lady when she appeared in Walsingham in 1061 asked that a replica of the Holy House of the Annunciation, the very first of her JOYS, be built in Walsingham as an everlasting memorial to the great moment when the Angel Gabriel brought the glad tidings that she was to be the Mother of God’s Son. Our Lady also promised “that all who would seek me there in that little house” would be consoled and help given. So let us ask and place great trust in her powerful intercession with God. Our Blessed Lady of Walsingham knows before we even ask, our needs, our hopes and our desires. Our Lady is waiting to grant you many graces and blessings during this time of Novena and preparation for her Feast. Let us remember the famous Prophecy of Pope Leo 13th when he signed the rescript for the Restoration of the Shrine of Our Lady of Walsingham in 1897: "When England goes back to Walsingham, Our Lady will come back to England"
THEREFORE, LET US PRAY THIS NOVENA FOR HER FEAST INVOKING HER INTERCESSION AS NEVER BEFORE, AND LET HER KNOW THAT WE HAVE TRUST IN HER POWERFUL INTERCESSION WITH HER DIVINE SON JESUS, OUR LORD AND SAVIOUR. OUR LADY OF WALSINGHAM, PRAY FOR US. 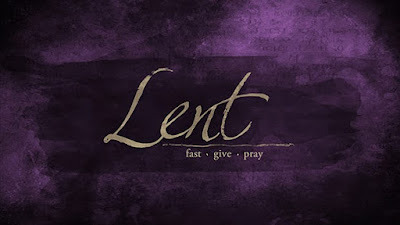 The specific prayers for each day will be published on this blog.